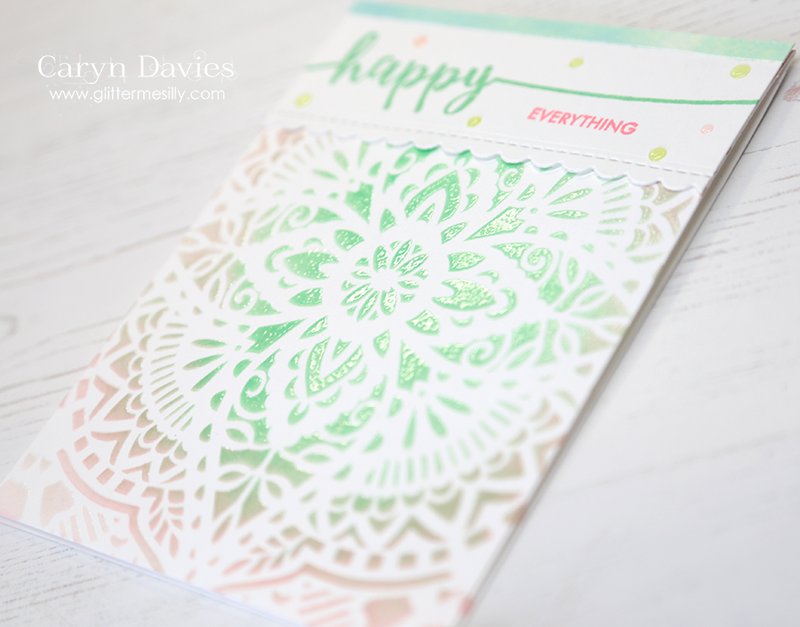 Simon Says … Embossing with WOW! Thank you for joining us for the last week’s challenge and we hope you will all join us again this week too. This week we are showcasing products from WOW! You don’t have to use them for the challenge but if you have them we would love to see them used. 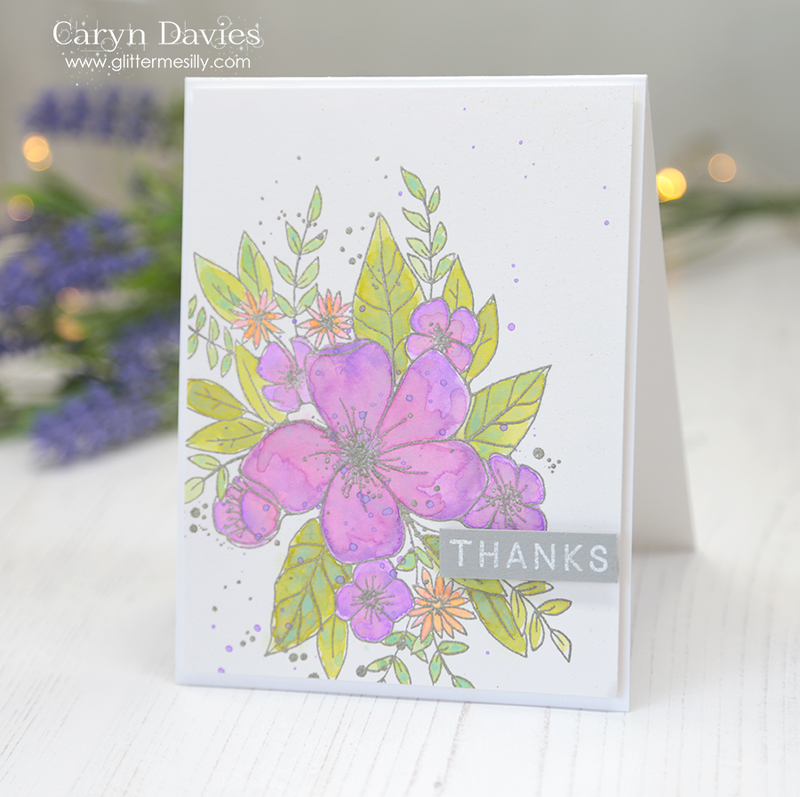 For my card today I used the gorgeous Hero Arts Glorious Petal stencil and combined it with Distress Oxide Inks and clear embossing over the top. I started by brushing Cracked Pistachio over the centre area and brought in some Worn Lipstick just around the outside edge. With the stencil still in place I pressed some Versamark ink over the top. I removed the stencil and sprinkled the card with Wow Clear Gloss embossing powder and heated it. For the panel across the top I die cut a strip of white card with the largest of the scallop edge dies from Simon Says Stamp. I then used Cracked Pistachio and Worn Lipstick Distress Oxide ink again to stamp the Happy and Everything from Sentimental Too from Avery Elle. To finish I added a few drops of Nuvo Jewel Drops. This week we are showcasing Simon’s own brand products. You don’t have to use them for the challenge but if you have them we would love to see them used. 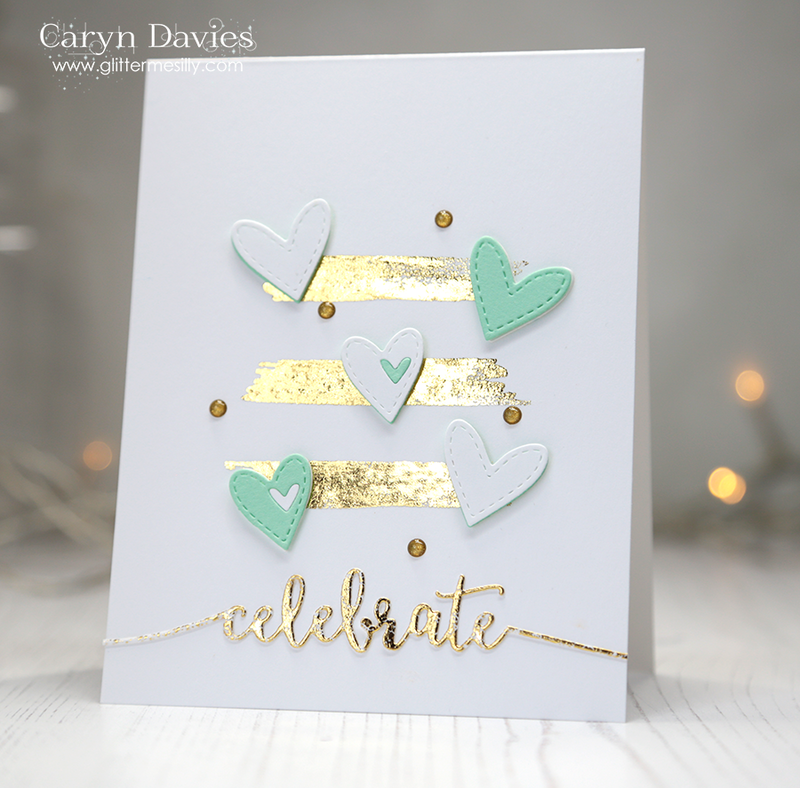 Yay – a bit of sparkle – a challenge made for me if ever there was one! I’ve been dying to play with this gorgeous Emma stamp for ages – it was out of stock when I originally tried to get it so when it came back I grabbed it pronto! I thought it would pair nicely with some gold embossing and was going to add some water colour but then remembered something super fun I saw being demonstrated at a local craft fair last weekend by the amazing Keren Baker! This effect was made using Infusions powders from PaperArtsy. They come in amazing colours (this is my favourite called A Bit Jaded) and you literally just sprinkle a tiny bit on your paper and spritz with water – and then the magic happens!!!! I HIGHLY recommend trying them out – I can’t wait to have a go with some of the other colours too! This week we are showcasing products from Lawn fawn. You don’t have to use them for the challenge but if you have them we would love to see them used. 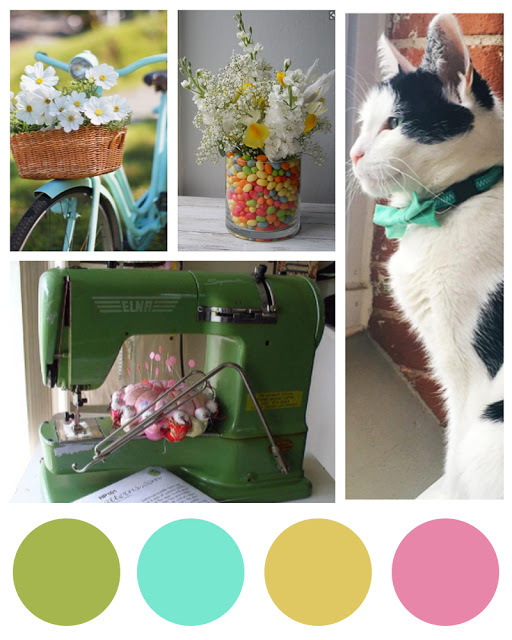 This week Jenn Shurkus has provided us with a gorgeous Spring-like inspirational mood board with a fabulous colour palette to get our creative juices flowing! Look at Mr Harley too – very handsome! 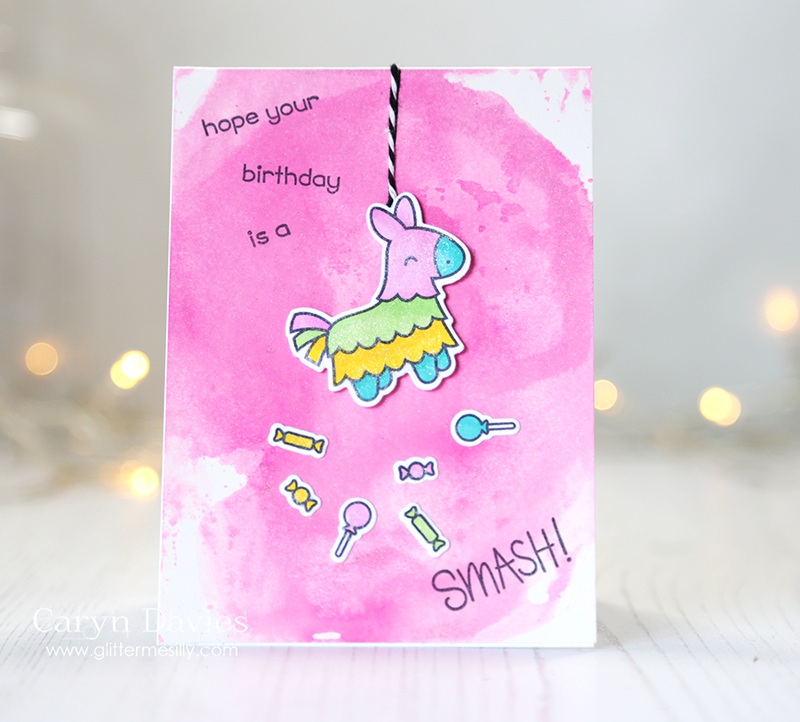 I actually just used the colour palette rather than the images as I was dying to use my newest Lawn Fawn purchase, The Year Seven stamp set – love that pinata! I squished some Picked Raspberry Distress Ink onto a sheet and then spritzed it with some shimmer spray – I then placed my card front face down onto the ink and dabbed it around to give me the inky background – and it’s shimmery too! Simon says … Happy Birthday Simon! And guess what? 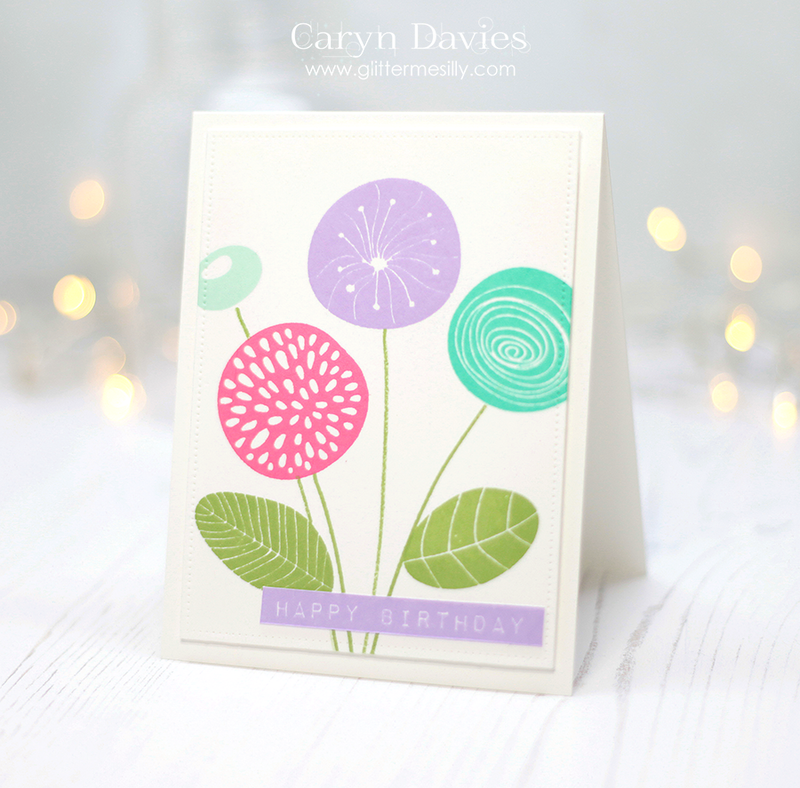 The Simon Says Stamp Wednesday Challenge is celebrating it’s 8th birthday this week! 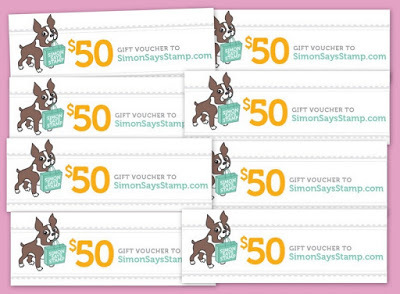 To celebrate this week we are showcasing products from Simon Says Stamp. You don’t have to use them for the challenge but if you have them we would love to see them used. As an extra thank you to everyone who has supported Simon over the years, Heidi isn’t just giving away ONE $50 store voucher this week – she’s giving away 8!!! 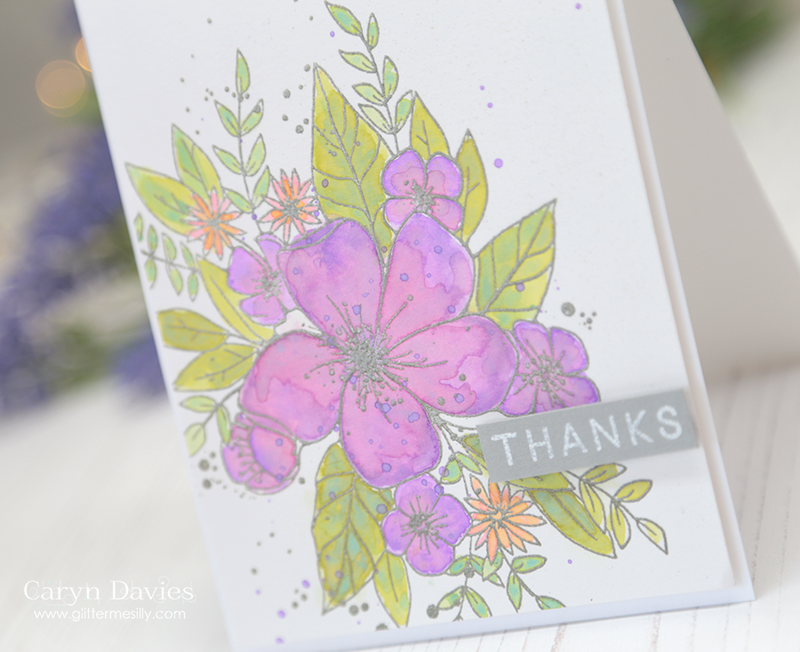 So this week, I thought I’d pull out one of my ALL TIME favourite Simon Says Stamp sets – Artful Flowers. There’s something about the simplicity of the flowers that I just love! I created a landscape A2 card and used the Tiny Dots stencil with some Avery Elle Lemon Grass pigment ink to give me a subtle texture to the background. 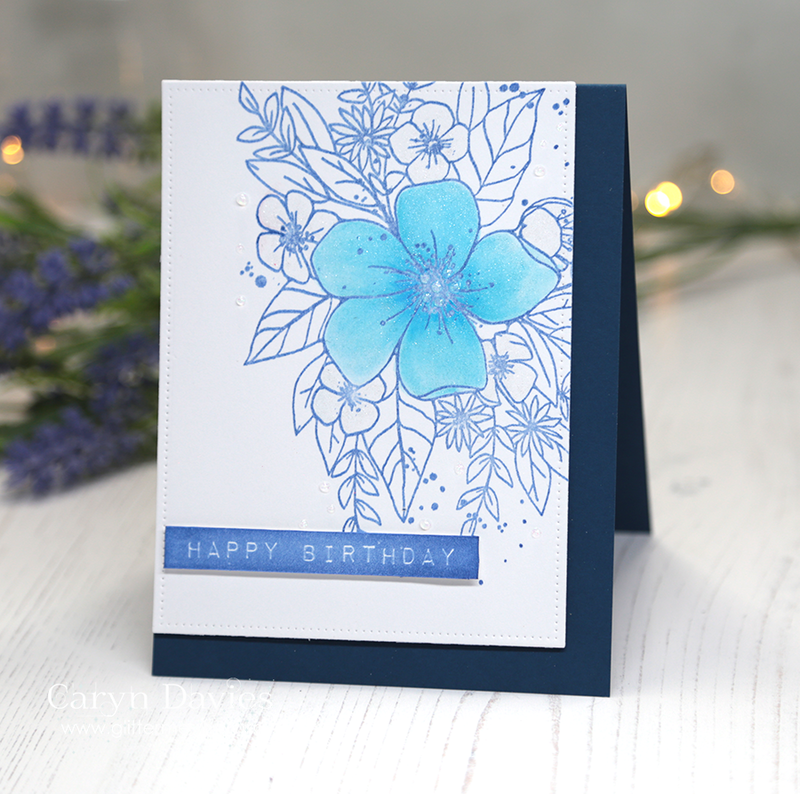 The I stamped several of the flowers in Versamark and heat embossed them in white before using Zig Clean Colour Real Brush markers to colour them in. I created a wee video if you’d like to watch the process!! This week we are showcasing products from Stampendous. You don’t have to use them for the challenge but if you have them we would love to see them used. I’ve kept it nice and CAS this week with my card and added some simple Copic colouring. 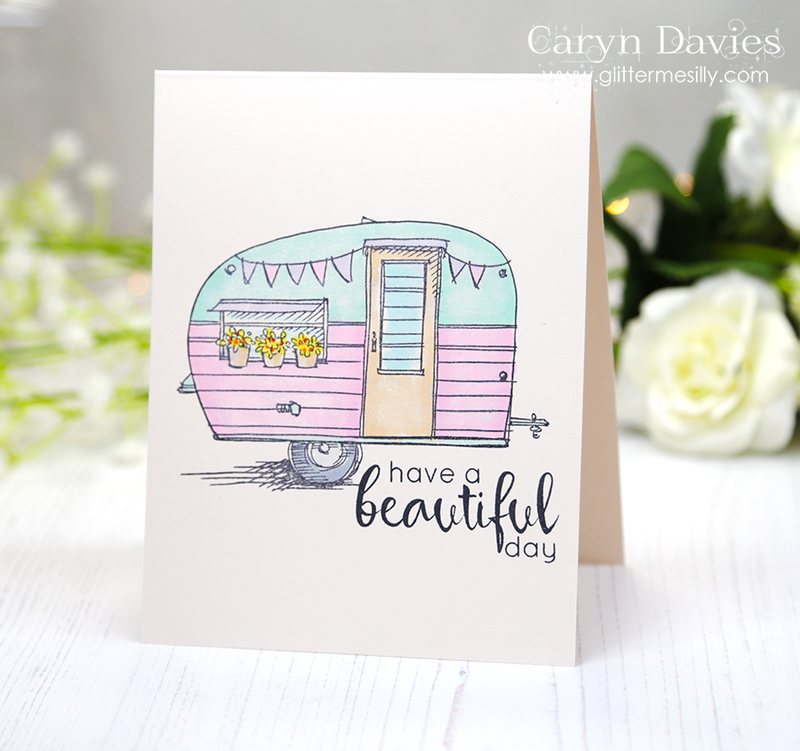 I love this cute little Tiny Trailer stamp from Stampendous – I can imagine heading off to a wee music festival in this!!! 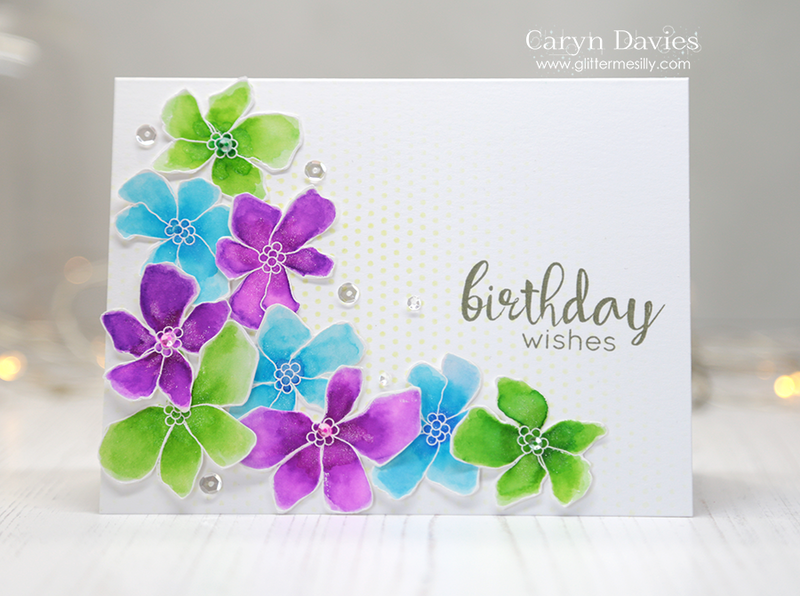 The gorgeous sentiment is from Altenew stamp set called Floral Frame and it’s just gorgeous! Water Colouring with Distress Oxides and a video! Hello – I’m popping in with a rare post that has nothing to do with a design team!! I don’t often get time to make cards other than for the design teams I’m on (Avery Elle and Simon Says Stamp) but today this card is a “just for fun” card using a stamp set called Hello Lovely by Concord & 9th that I’ve been coveting for AGES!! At the same time as getting this set I also got other happy mail in the form of my latest order from Simon Says Stamp and in it there were some DISTRESS OXIDE INKS! Yes, been dying to get hold of these since I saw them at CHA in January. So anyway, here’s a couple of cards I’ve made with this stamp set. The first uses the Distress Oxides as a water colouring medium (LOVE) and on the second I kept it simple and coloured just part of the design using a couple of Zig Clean Colour Real Brush Markers. I even created a video too!! This week we are showcasing Memory Box. You don’t have to use them for the challenge but if you have them we would love to see them used. So this week I’ve been playing with WOW! heat reactive foil! I wanted a subtle yet striking background for my Memory Box Stitched Heart Trio die cuts so pulled out an older set from Avery Elle called Brushed – and stamped one of the brush strokes three times in Versamark Ink. I then used the WOW! 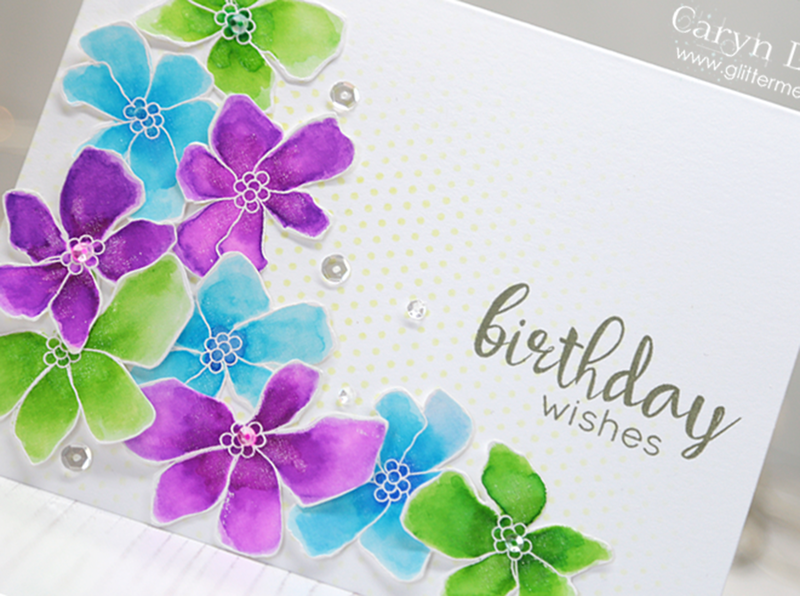 Bonding powder and sprinkled it over the stamped images much as you would embossing powder. When you then heat it it goes tacky and whilst it’s still hot, you add over the foil. I burnished it a little with a bone folder and then peeled back the foil to reveal the silver design! For the rest of the card I simply die cut the hearts from cream and Doll Pink card stock and layered them up alternatively. I added them to my card and finished off with a few spots of Silver Moondust Nuovo drops. The sentiment, which is also foiled is from one of my favourite go-to die sets from Avery Elle, Sentimental. This week we are showcasing Altenew Products. You don’t have to use them for the challenge but if you have them we would love to see them used. So I bought this set months ago and it’s been sitting there crying out to be inked ever since! I LOVE the modern, graphic style of the flowers and the larger scale is fabulous. 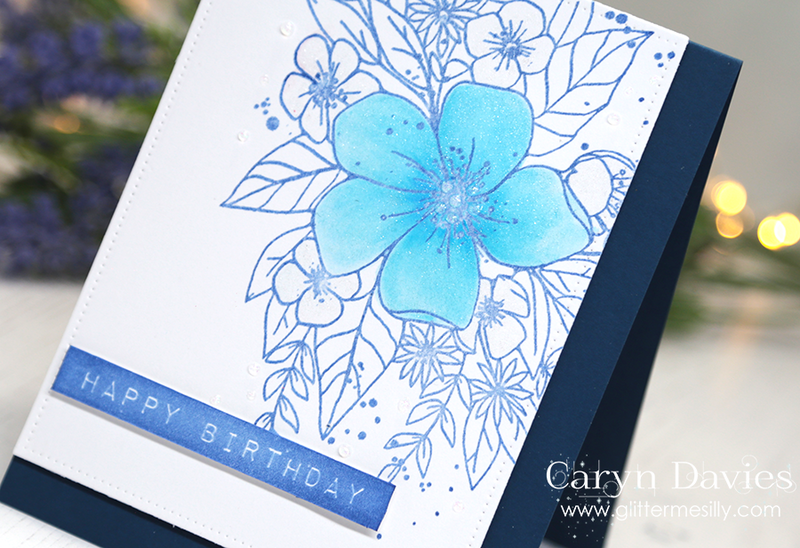 I used Altenew’s crisp inks for the design and double stamped with the MISTI to get really gorgeous, flawless results with the colour. 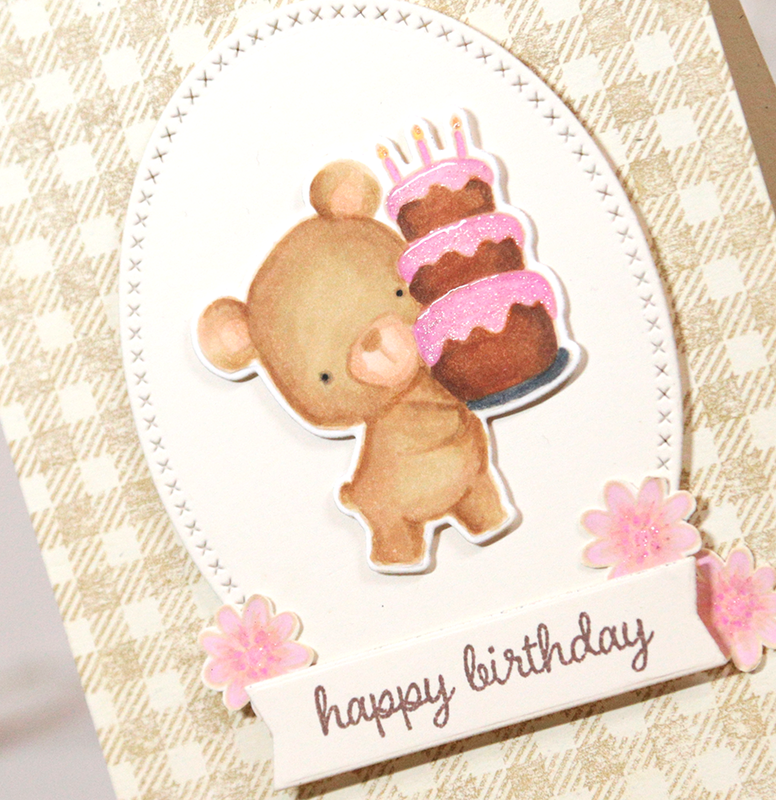 Te sentiment is from the Label Love set – one of my favourites at the moment – SO useful! This week we are showcasing Wild Rose StudioProducts this week. You don’t have to use them for the challenge but if you have them we would love to see them used. 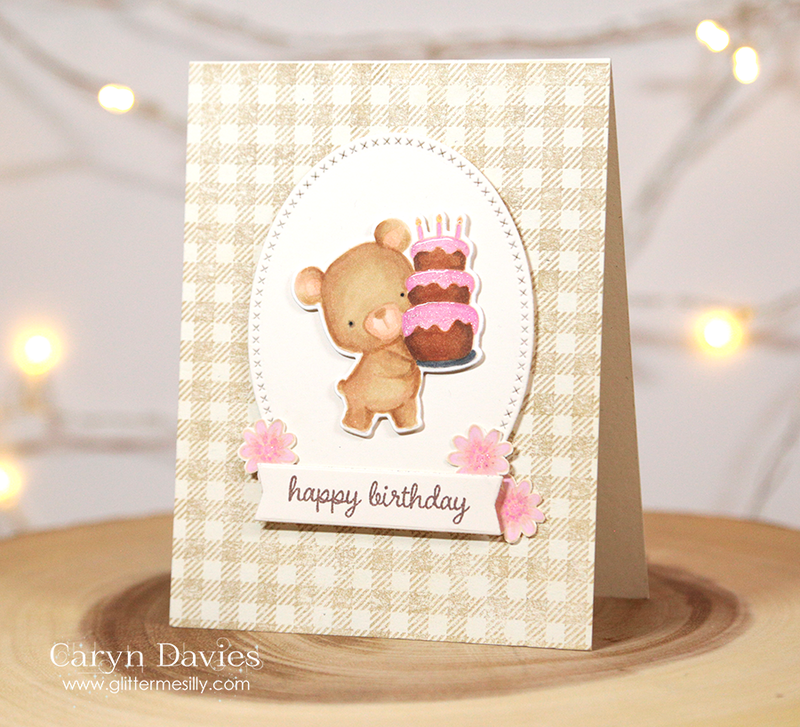 So I thought I’d pair this ADORABLY cute bear image from My Favourite Things with the sweet little sentiment from Wild Rose Studio – this is a great little set with a few extra flower images which I also used. I created a cream card base for a change and stamped the Gingham Background from Simon Says Stamp in Kraft pigment ink from Avery Elle. I stamped the bear in Barely Beige Dye ink and gave the “no-line colouring” technique another go (I seriously need so tips on that – #fail)! To distract from the shoddy colouring I added some sparkle to the icing on the cake using a Spica pen and then a dollop of glossy accents on top for good measure!! All products used are listed below! 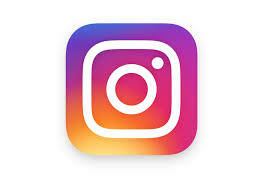 New Crafty Stash, New Baby, New Job, New Life, Wedding etc, we will be looking forward to seeing whats new! This week we are showcasing our very own Simon Says Stamp Exclusive Products. You don’t have to use them for the challenge but if you have them we would love to see them used. 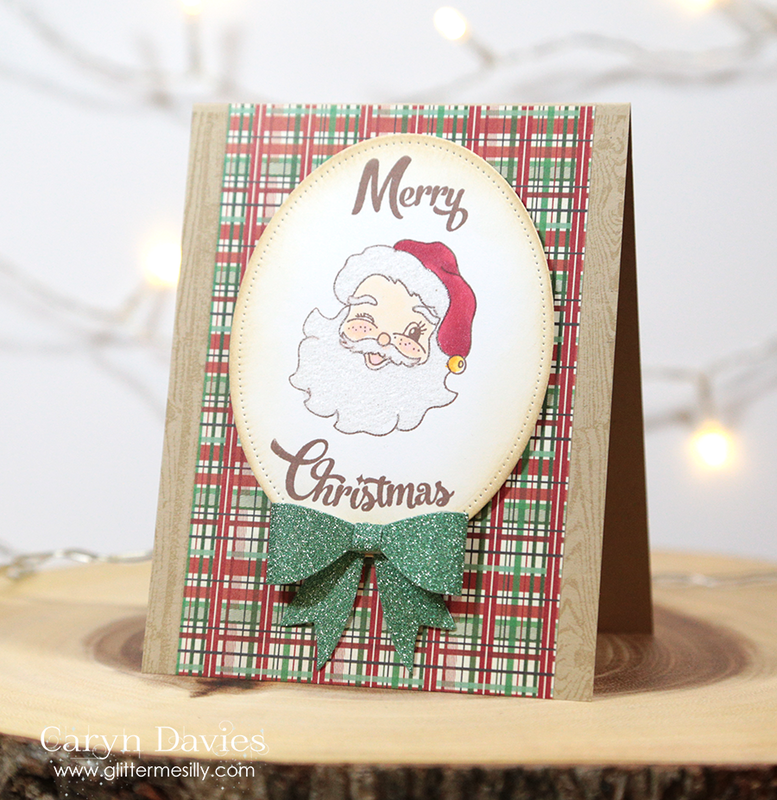 My NEW SOMETHING for this challenge is the Limited Edition December Card Kit from Simon Says Stamp. Although the kit sold out in record time the star of the show (in my humble opinion) is the stamp set – Swell Christmas – which is still very much available! Anyone who follows me will know that vintage Christmas is my thing! I love the style and feel of everything that kitsch and retro Christmas offers and this stamp set is so COOL! 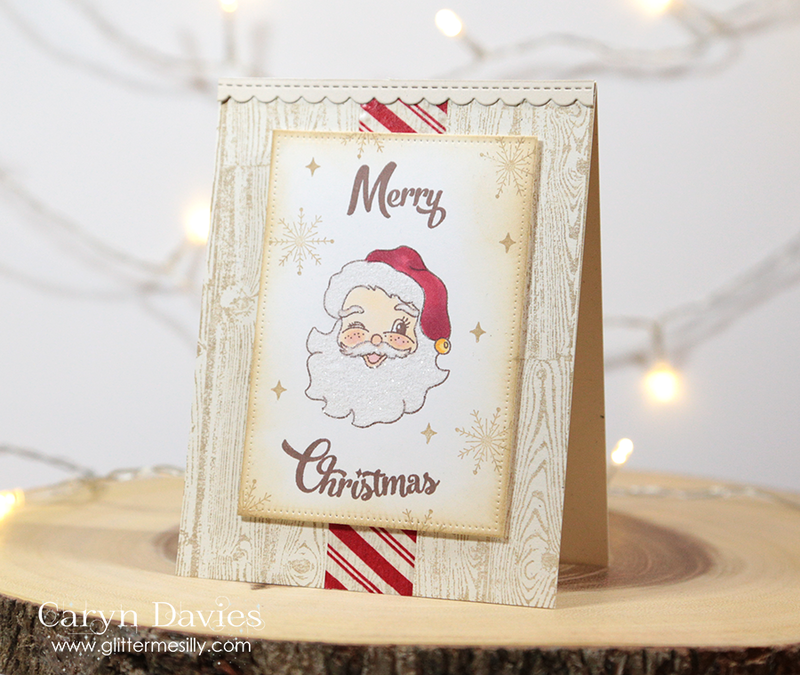 I madde a coupls of cards featuring the fab Santa image!